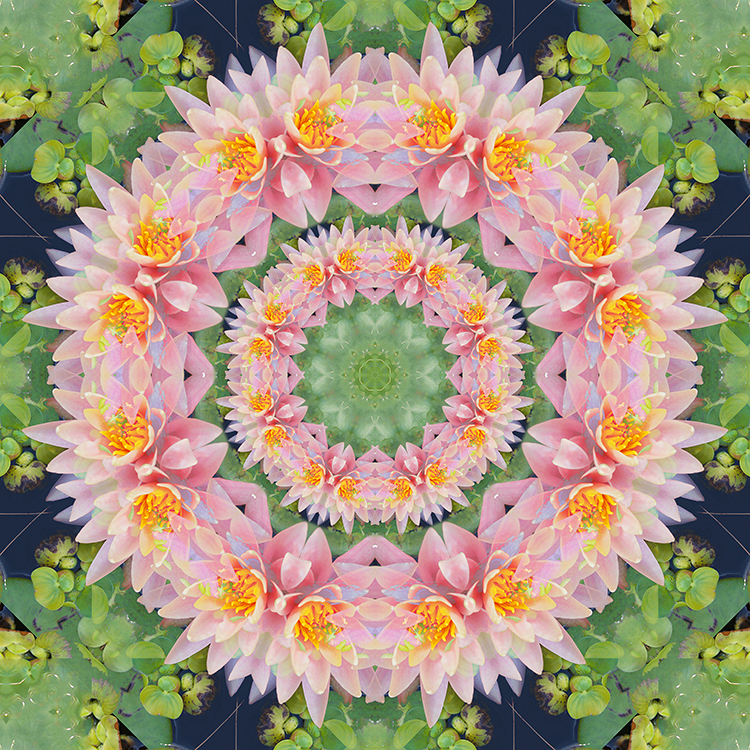 Union County, NJ – The Union County Board of Chosen Freeholders is pleased to present an exhibit of photographic mandalas by Danielle Wilkinson of Clark in the gallery space at the Union County Office of Cultural and Heritage Affairs, located at 633 Pearl Street in Elizabeth. A selection of Ms. Wilkinson’s work entitled “Photographic Mandalas from Nature” is on display at the Pearl Street Gallery until March 29. Gallery hours are 8:30 a.m. to 4:30 p.m. weekdays. “Ms. Wilkinson’s skills as a photographer and digital designer come together in a series of powerful images. The Freeholder Board is very proud to provide this opportunity for the public to enjoy this unique perspective on the natural world,” said Freeholder Chair Bette Jane Kowalski. Danielle Wilkinson is an artist currently creating and teaching workshops in drawing, photography, spirituality and yoga. She earned her Bachelor of Fine Arts degree from Ramapo College of NJ and her NJ Art & Education Certification from St. Peter’s College in NJ. Ms. Wilkinson taught art at David Brearley Middle and Kenilworth High School for 14 years, bringing her students and their work annually to the Union County Teen Arts Festival. Artwork created by her graphic design students was chosen as the official Kenilworth flag, historical seal and “Cast” logo. Her students also worked with the Restore the Shore campaign to raise money for victims of Superstorm Sandy, by designing and selling t-shirts. In 2012-2013 she was named High School Teacher of the Year. Ms. Wilkinson is the owner and Director of Aquarian Yoga Center, which has locations in Westfield and Clark. Her artwork is on her line of yoga clothing and mats, and she has exhibited her work extensively in galleries and other venues throughout the state and beyond. She is also a Getty iStock Photo contributor, the illustrator of Little Wave, and the author of her own book, Conduit of Light, published in 2018. She is also a guest lecturer at Kean University. To see more works by Danielle Wilkinson, visit daniellewilkinson.com . The Pearl Street Gallery space is available only for works that can be hung on a wall. Union County artists interested in exhibiting in the gallery are welcome to apply. For more information about the Pearl Street Gallery and other programs, please contact the Union County Office of Cultural and Heritage Affairs, 633 Pearl St., Elizabeth, NJ 07202. Telephone 908-558-2550. NJ Relay users can dial 711. E-mail to: culturalinfo@ucnj.org.